Samsung has announced that the next Gear smart watch will come running Android Wear, Google's wearable-focused OS that first made its debut on the recently announced Moto 360. This news may come as some surprise, particularly since Samsung recently promised to make a Google-less phone with Tizen. That said after the universal panning of the original Gear means Samsung could be looking to settle a few scores. 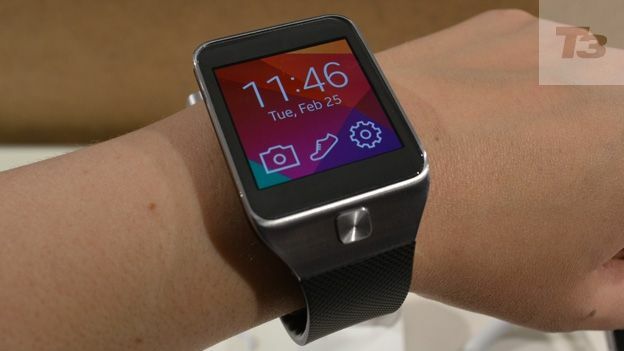 With smart watch allegiances looking more like Game of Thrones by the day the news that Samsung is making an Android Wear smart watch does offer a glimmer of hope in that it suggests Samsung could be opening up the Android Gear 2 to all Android smartphones like the HTC One M8 and the Sony Xperia Z2. This same month has also seen LG announce and release images of the G watch, their first smart watch which will also use the new Android Wear OS. With Motorola, LG and Samsung all confirming smart watches for this summer the race is on to see who can create the first truly smart timepiece.